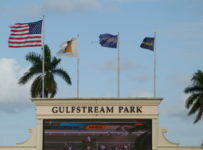 Gulfstream Park’s 11-race Labor Day Card is underway with conditions listed as fast and firm. 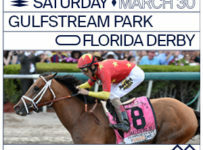 The fifth race is coming up as we write this. 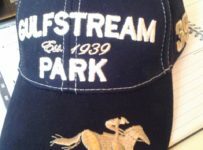 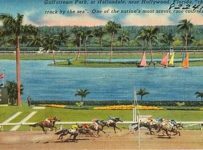 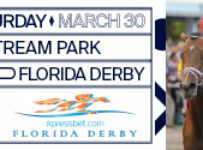 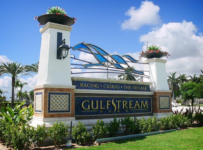 The Weather Channel forecast is for just a 15 percent chance of rain for the remainder of the afternoon in Hallandale Beach, where Gulfstream is located. 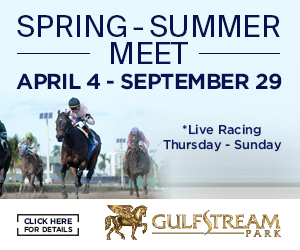 The feature 10th race, with scheduled post of 5:52 p.m., is 6 ½ furlongs on dirt for fillies and mares three-years-old and up. 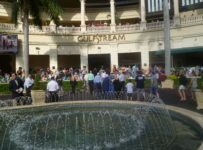 We will have a preview and coverage on our blog. 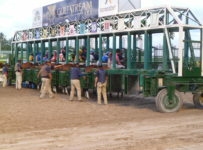 There is a carryover of $13,859.60 on the Rainbow 6, on races six to eleven. 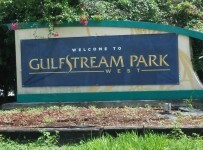 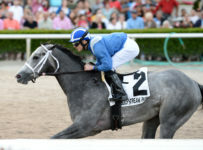 Scheduled post for the sixth race is 3:35 p.m.
Gulfstream will be dark on Tuesday and Wednesday. 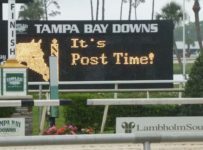 It will then resume its regular Thursday through Sunday racing schedule. 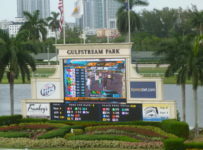 The Thursday card has eight races, with first post of 1:15 p.m.